New section on sail Battens see class rules section 'd' para 4. 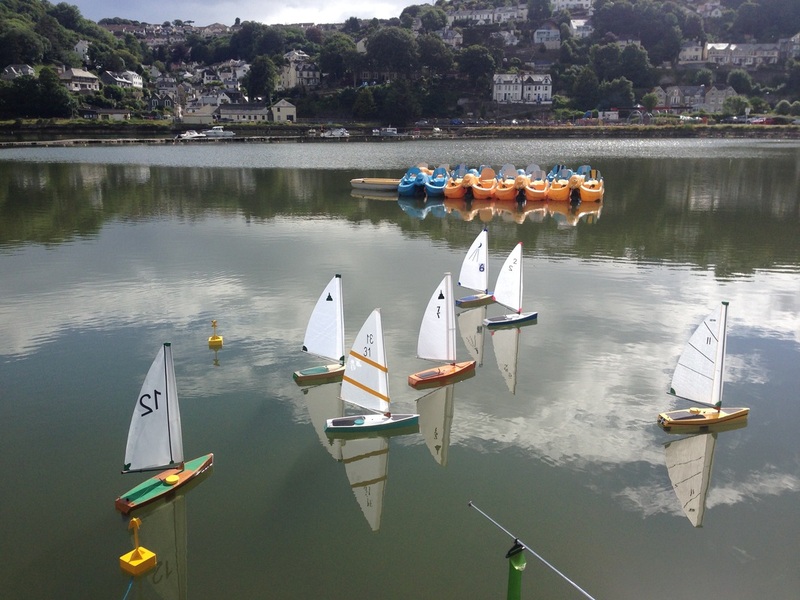 As the class has grown quite rapidly, we contacted Graham Bantock, of Sailsetc the Wee Nip hull designer, who has been most helpful and we have now put together some formal class rules for publication. The plans have now been finalised and the current number of Wee Nips either completed or under construction is 50, more than we ever envisaged. We have to admit the hull form is a bit of an "Ugly Duckling" but as it starts to come together and look more like a yacht it does seem to grow on you. Once on the water all of the hulls produced so far have sailed away right off the bank with only some minor trimming, it does appear to be a very forgiving yacht easy to sail without the submarine tendencies of some of the other smaller classes. The one size Bermuda Rig is designed to keep costs down and as the class is intended to have standard boats to one design with a generous minimum weight the performance difference between each boat should be minor. All this means that the racing will hopefully be exciting and close, and more experienced skippers will also find it challenging, hopefully they will be able to use their ability to shine in the class. If you would like further information please feel free to contact us by email peter.shepherd62@gmail.com. Instead of the usual hull registration by numbers we are naming our boats, and a list of Scottish Whisky names has been chosen a suitable starting point, this has given rise to quite a lot of original graphic designs on sails. The original Wee Nip was conceived to fit into the Strathclyde 70 class, a modellers competition originally conceived and sponsored by Strathclyde University to promote students to consider a career in Navel Architecture & Marine Engineering. Unfortunately we can no longer find the rules for this class and it appears to be defunct, the last postings we can find being at a google website in 2011. 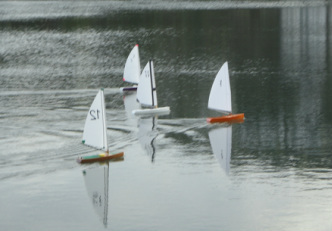 Although it does appear that the class had a minimum weight of 2kg and required the use of a single Una rig type sail. If anyone has anything more recent I would be most pleased to include a link here. Traplet still sell a plan & plywood parts for the original Wee Nip via Marine Model International although the Abington Park Wee Nip varies quite significantly in key area's of the design from the original, it is possible to use the plywood parts supplied to produce the Abington Park version, however we do not believe it would be economic to try to convert an already built Strathclyde 70 Wee Nip to fit our class rules. An Australian group produce a "Wee Nip 2", whilst this would have seemed like the obvious name for our class to try to avoid confusion we steered away from using this again. 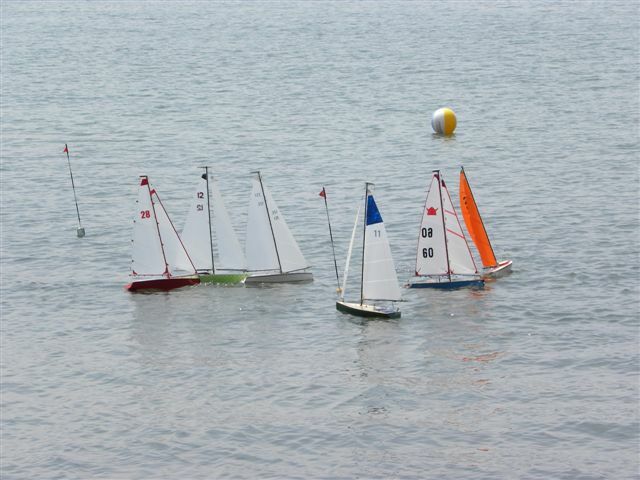 The Australian Nip is a Bermuda rigged version, they have a thriving racing scene with a number of local clubs participating with both the Una rig and Bermuda rigged versions their website is at http://weenipsbayside.yolasite.com/, they use a slightly larger sail pattern than us and still retain the 2kg weight requirement.